:: Question of the Day: What is Rooibis and why is it good for me? Thank you to everyone that stopped by for our Eyes Have It Event last month! We had a great time learning new eye techniques from Colorescience and eating some wonderful food. Ladies this is a reminder to do your monthly breast exams. Also check out our Pamper Yourself section below for a great at-home treatment for your girls. Massage by a properly trained oncology massage therapist is a safe and effective therapy at all stages in the cancer journey. A wealth of information including FAQs and a locator service of trained massage therapists can be found at http://www.societyforoncologymassage.com. Pilates Moves owner and instructor Marion Knackstedt is a Certified Post-Rehabilitative Breast Cancer Exercise Specialist through the Pink Ribbon Program. Check out Marion at http://www.pilatesmovesonline.com/pinkribbon.html. Contact her at 608.1661 to learn more or to get started today! Show your support by wearing a Save the Ta-Ta's T-shirt or tank, S-XXL for $24.95 and we now have long sleeve hoodies and t-shirts from $27-38. There are items for babies and men, too! Be sure to stop in to Raspberry Moon and check them out! Raspberry Moon is now part of the Retailer Matching Program with The Save the Ta-Tas Foundation. In addition to the 5% of each sale that Ta-Tas (R) Brand donates, Raspberry Moon will be adding an additional 5% to the foundation. The Save the Ta-Tas Foundation is a non-profit public charity that exists for the advancement of cancer awareness, through education and prevention, and to aid in the fight for a cure. And to spread the message that laughter heals! Question of the day - What is Rooibos and why is it good for me? High levels of anti-oxidants, particularly ones known as Flavonoids (an anti-oxidant more powerful than Vitamin C) make this a great anti-aging tool to include in your daily diet. Anti-spasmodic agents help bring relief to stomach cramping, as well as colic in children. Anti-inflammatory agents in Rooibos are know to promote healthy skin and soothe irritated skin, as well as alleviate hay fever and asthma. It's naturally caffeine free! So enjoy a cup after dinner, sip it slowly to help you relax or make a whole pitcher of iced tea to share with the kids! To receive a Complimentary tin of one of Tea Junction's Rooibos teas, mention this newsletter when you book your appointment with Nicole. There's a limited supply available, so book soon! Did you know that women take better care of their hair, nails, face and feet than their breasts? Phluffing is a safe, easy, gentle movement that should be given to the breasts at least twice a day. Reduce breast congestion and discomfort if done before, during and after the menstrual cycle. Prepare the girls for their mammogram! Cup your hands under each breast. Gently move your hand in an up and down motion as if fluffing a pillow. Place the side of each hand under one breast onto the ribs. Move your hand left to right in a sideways motion, about 10 times. Finish with a drop of massage oil to complete the pampering. Phluff at home, at work, in your car, preferably in the morning upon awakening, or showering, during the day and especially after the bra is removed at night. Hydrate, exfoliate and feel like a diva with this yummy service. You will leave with your skin feeling silky smooth. Add it to a facial this month for only $25! 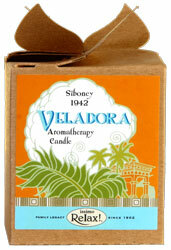 Veladora continues the tradition of pollutant-free, environmentally-friendly candles in use by the founder's family since the first half of the 20th century in La Habana, on the island of Cuba. For ambient lighting, Candlepower was the norm, and the founder's family, due to respiratory concerns, used a special blend of 100% vegetable wax candles imported from Europe and hand-poured with fine aromatic fragrances. Through the month of September these 100% veggie wax candles are only $17 and $24 each. These make great gifts, stocking stuffers and hostess gifts for the holidays. Take advantage of our sale so you will be ready for those last minute gifts.